Last night we officially sent the cast of Below Deck on their final charter and we waved farewell with Tahitian flower crowns in our hair. Don’t I wish! Actually far from sunsets, the entire affair took place in the dark, sordid Watch What Happens Live clubhouse, with the disco’d up cast perched on uncomfortable stools which are clearly the castoffs from one of Lisa Vanderpump‘s collaborations with Nick Alain gone wrong! First off Andy Cohen clears the suspense by stating that Caroline Bedol and Chandler Brooks won’t be joining them. That statement made it pretty much apparent that the reunion would be boring as everyone else was BFF by the time the season ended. Several of them are still close friends today! Seriously, though, I had forgotten Caroline and Chandler were even on the show this season was so busy. Other than Rhylee Gerber they were the sole sources of drama in the first half of the season. 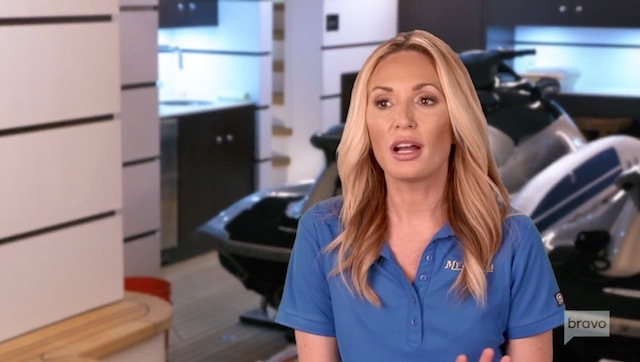 Last night was the season finale of Below Deck and while Krystal may have been the worst charter guest like ever, I agree with Kate Chastain. This has been the best crew and the best Below Deck season. So yay for keeping the equilibrium even at sea. Cause sharing the sea with slugs is what it’s all about, right?! So obviously the first and worst sea slug to deal with is Krystal herself. She is passed out on deck, wrapped in a blanket, aka a shame cocoon. Except I don’t actually think Krystal has any shame about abusing her friends or the people serving her. After threatening Kate and Josiah Carter several times, Krystal suddenly remembers she has these things called legs, which are attached to there hip bones, so she stomps downstairs to her cabin, slamming the door. Kate, who is practically levitating with rage, immediately goes to bed. Poor Josiah is stuck staying up all night cleaning up after these ungrateful wenches. 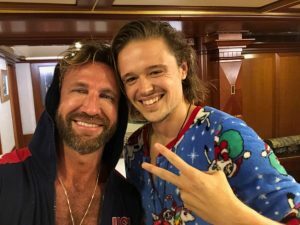 Does Adrian Martin Cross The Line On Tonight’s Below Deck? Tonight is the season finale of Below Deck. This means we’re all crying sea salty tears into our wine at the loss of Kate Chastain in our lives. If it’s any consolation (it’s not) I heard Hannah Ferrier is returning for season 4 of Below Deck Mediterranean. Wait – that makes me cry harder. Anyway, Krazy Krystal is still in her shame cocoon. Kate wants that girl served a nice, cold helping of hose in her face to wash off the drunken entitlement tantrum. It doesn’t sound like things improve between Kate and Krystal when Kate forgets it’s her birthday! Freudian slip? I don’t even know what to say about tonight’s Below Deck except where do they find these people? A sanitarium? A circus? A casting call for the insanely entitled? A meeting of Delusionals Anonymous? Actually I feel like Tyler Rowland is chairing that meeting. And obviously I’m delusional too if I think that’s all I’m going to say about last night’s epic episode! So we open the episode with drunk guests falling off a moving jet ski at 10 am. The jet ski definitely would’ve failed a field sobriety test, but Captain Lee Rosbach screaming in the guests’ faces certainly knocked the sobriety into them! 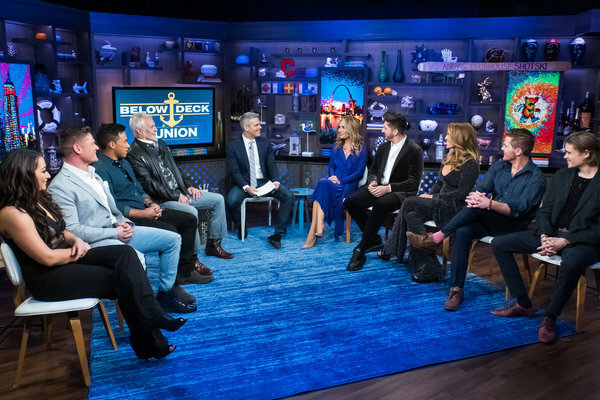 Below Deck returns tonight, bringing some insane charter guests, and a deeper glimpse into what will become of the relationships on this show once the charter season ends. Uh-oh! With one charter left until the end of the season, Tyler Rowland asks Rhylee Gerber out on an official date. Then, he learns that have drastically different expectations for what comes next.